This MATLAB code is for two-dimensional elastic solid elements; 3-noded, 4-noded, 6-noded and 8-noded elements are included. This code plots deformed configuration with stress field as contours on it for each increment so that you can have animated deformation. 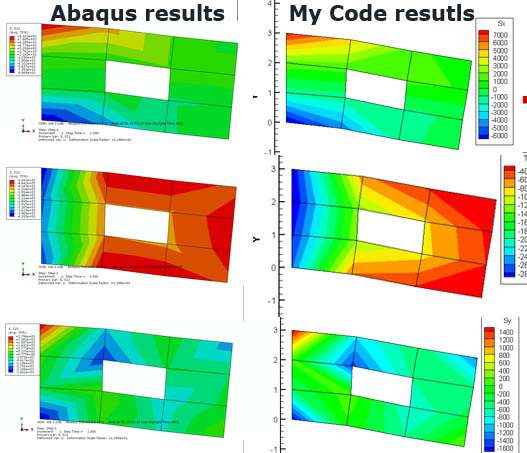 Results are verified with Abaqus results; arbitrary input geometry, nodal loads, and material properties for each element can be defined by user.